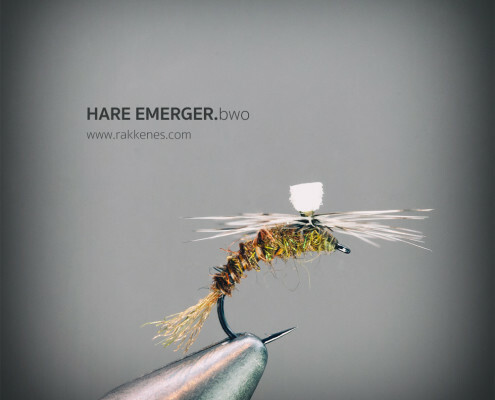 The Hare BWO Emerger is a go-to pattern for a lot of mayfly hatches, but works very well in several situations during a BWO hatch. It’s easy to tie and has a buggy appearance. This pattern is promoted by one of the really good fly tiers in Norway, Robert Sørvik. It’s difficult to find the origin of this seemingly general pattern. Several European fly tiers do their own variant of the emerger. This is my variation of the pattern. 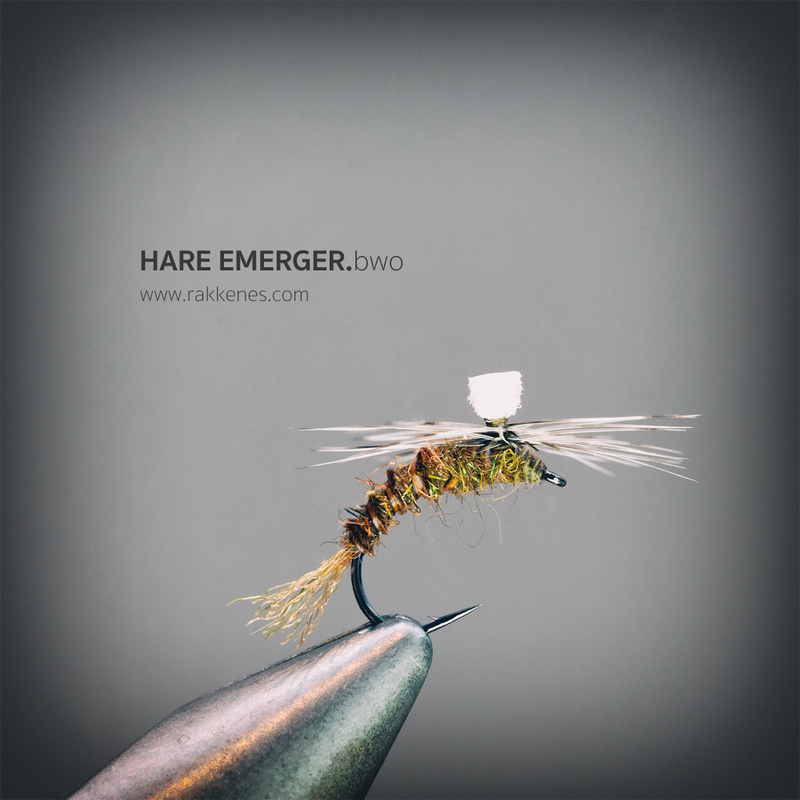 I love the buggy feel of Hare in general, and specifically turn to Hare dubbing when an emerger or nymph is on the vise. Readers of this site may have noted that I prefer floating nymphs to standard upright emergers on hooks with a grub profile. But often fish seem to be triggered by the profile of these hooks. This variant is tied on a TMC 212Y giving the fly an extreme vertical orientation in the film. Just as often I tie the Hare Emerger on a TMC 2488/87 to obtain a more horizontal floating emerger profile. Apply floatant to the hackle only and let it float freely without any movement – dead drift. Use a long well tapered leader. There are several options when it comes to good dry fly hooks. Here’s a good resource site by Håvard Eide on fly hooks, and more information on the Tiemco TMC 212y emerger hook.